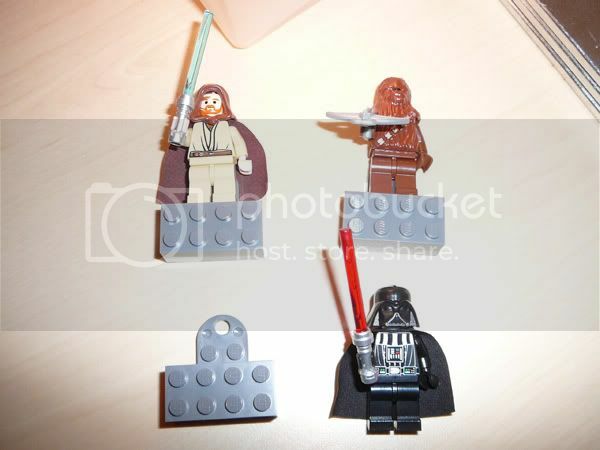 Well, I bought this today at the Lego Shop in Brighton ... price, �8.74. The best bit ?! The figures are absolutely normal and they attach to the magnet bricks via studs. The figures are NOT glued in any way. The lightsaber hilts are the powder chrome and so it the bowcaster for Chewie. 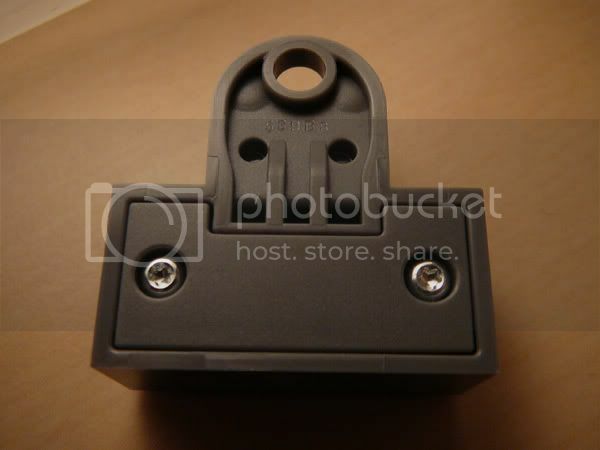 The magnet brick is basically a 2 x 4 brick size with modified plate 3 x 2 with a hole attached (see pic below). My only gripe is the blister pack packaging which you have to semi destroy to get to them. I VERY MUCH hope we get more of these kind of magnet sets. It could be a great way to get rare figs. I believe these are $14.99 in the States. Holy Mackerol! I need this I though they were glued! You proved me wrong. Nice Review shows everything. $5/ figure in the US? The minifigures are pretty lame. Why couldn't they have a Death Star Trooper? This is an excellent way to get the new Vader and the fact that they are all original non-glued figures with capes and weapons makes this a winner. The magnetic stands will be useful in creating a display for other figures too. Oh, I disagree. Chewbacca's not in a lot of sets now, that's the new version of Vader, which is about 10 bucks online, and Obi gives you a great way to get a brown hood and a versatile flesh face, plus some opportunities for some non-grey lightsaber hilts. 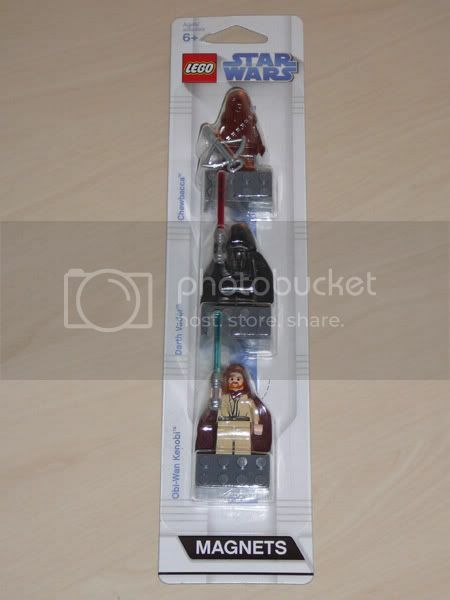 I got this at my lego store and I agree its a great way to get the new vader and Chewbacca. Obi-wan is great for the hood as well.